Before rushing off to school in the morning, many kids sit around the table to fuel up with the most important meal of the day. Unfortunately, one of the more common breakfast options – cereal – might have some unintended consequences for teeth. Regardless of which cereal you choose, there are ways to minimize the effects it can have on your teeth. 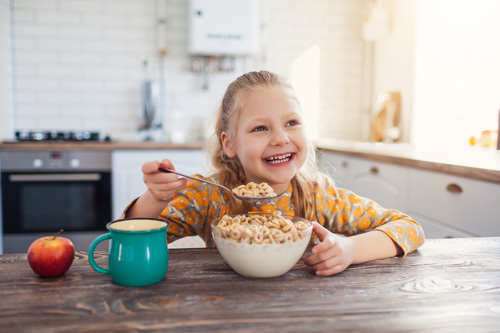 According to a study published in the Journal of the American Dental Association, drinking milk after eating sugary breakfast cereals can help decrease your risk of cavities. It can also help to brush after your meal, to avoid drinking fruit juice and to only eat cereal at breakfast time instead of snacking throughout the day.